Moving averages are technical analysis indicators which denote the average in the price of a security or trading instrument over a specific period of time. Majorly used moving averages are 20, 50, 100, and 200. These averages tend to portray the current price of an asset. 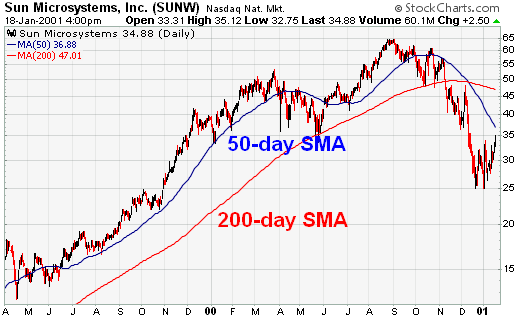 Moving averages are designed to smooth the price data of a security to form a trend following indicator. This technical indicator functions by filtering out the noise from random market price fluctuations. 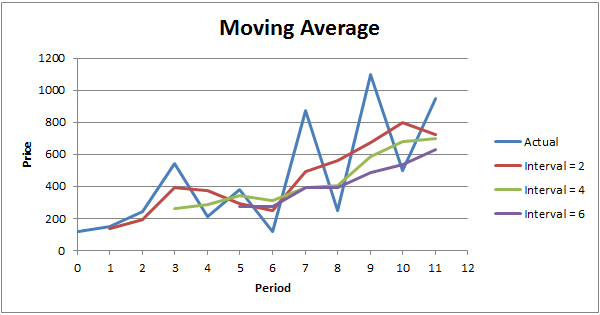 Various lines represent a moving average on a price action analysis chart. There are various scenarios that take place in a price chart when moving averages are indicated. Sometimes, the price of a security either stays on the moving average indicator or bounces off the moving average tending towards being above or below. When a bounce occurs, it means that the indicator acts like a support and resistance level to the instrument’s price. 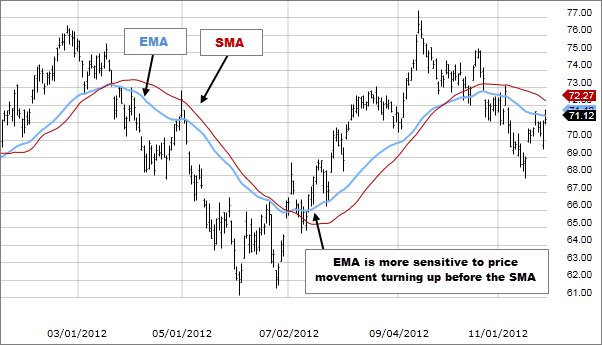 Moving averages also tend to portray the volatility level of the financial market. When a price is around the MAI (moving average indicator), it signifies volatility. This gives a feeling of indecision in the forex market and a sign of newly placed orders. There are basically two types of moving averages. A simple moving average is a simple average price over a specific period of time. It functions by adding up the five latest daily closing prices and divides the total by 5 thereby creating a new average each day. With this, each created average is connected to the next average, producing a singular flowing time. 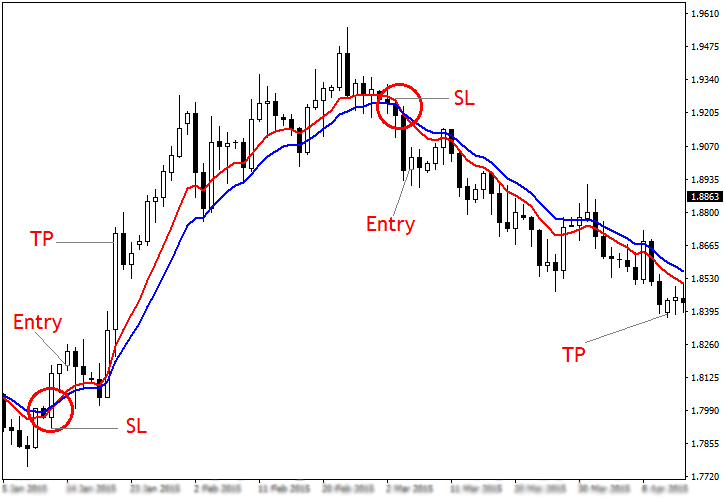 A simple moving average has the ability to smooth out volatility and gives forex traders the ability to identify the price trend of a security easily. An EMA supplies information on the most recent data points. This technical indicator places more significance on trending markets. 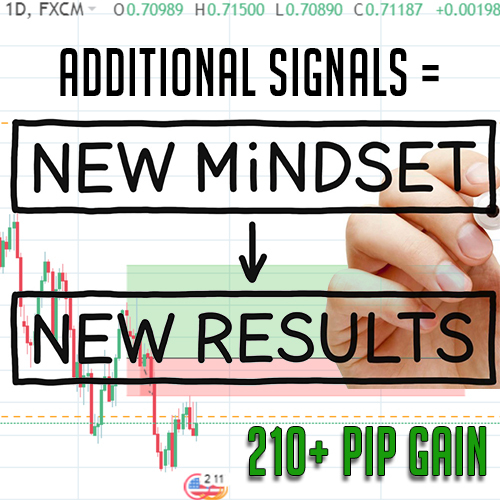 When the forex market is in a position of a strong uptrend, the EMA indicator will also portray an uptrend and if the market turns towards a downtrend. 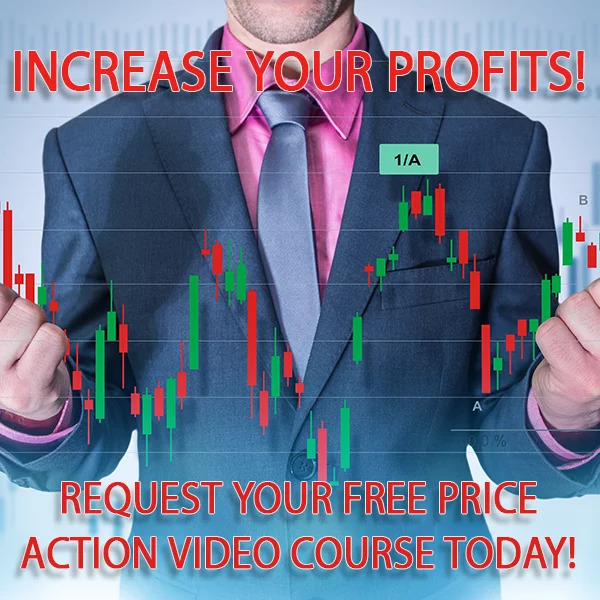 A moving average adequately analyzes the forex market and provide detailed information on an instrument’s price. 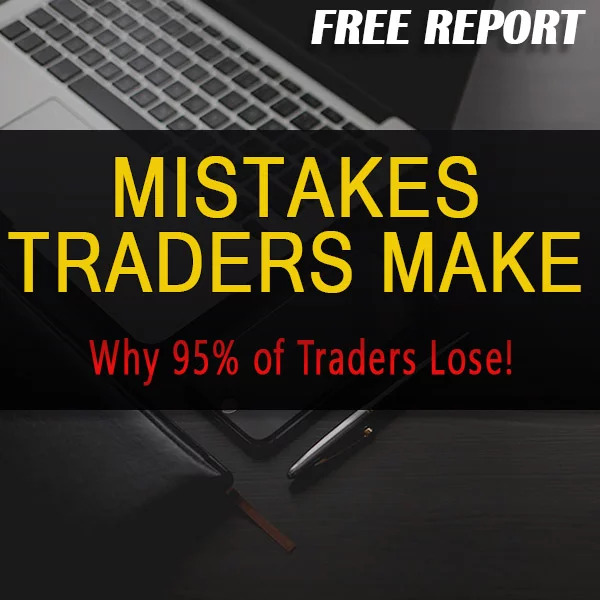 It provides effective trading information on support and resistance levels. Moving averages are effective forex trading signals which can be used when two averages crossover. An uptrend in a financial asset is indicated by an uprising moving average while a downtrend in a security is identified with a falling moving average. A moving average indicator is able to smooth price data from trendiness thereby providing forex traders, investors, and individuals with a basic decision on when and when not to enter a trade position. A simple moving average has the ability to portray market volatility and gives forex traders the ability to identify the price trend of a security without stress. An exponential moving average (EMA) emphasizes current price action, declining lag in time data and sorts out irrelevant information that may not be needed in trading a currency or security.